Is your company vulnerable to a data breach? If so, you’re letting your patients down. The more high-tech our world, the more vulnerable we are to data breaches, whether it’s accidental or malicious. That’s a sad truth that anyone in the healthcare industry needs to be aware of. This year alone, the UK’s NHS had their systems brought to a standstill by ransomware. So what healthcare data solutions can you use to protect your patients from data breaches? Modern data security is an ever-escalating arms race, and it’s no less true in healthcare data solutions. Microsoft has now stopped supporting Windows XP. Yet XP remains in use all over the world. Like most businesses, healthcare providers are de-prioritising technology upgrades over more ‘flashy’ investments and spends. But legacy tech can easily be a company’s Achilles heel. The reputation of your business might be at stake. Unsupported legacy systems are vulnerable to exploitable security flaws, which are quickly patched on newer systems. It’s not just operating systems, however. Any software you use may be vulnerable. Undertake strict version control to always ensure you’re using the most up-to-date version of a software package. Be aware that you can’t wing technical expertise when it comes to hardware and software. You’ll need qualified people to keep your systems up to date, even if you have to outsource for them. We understand that encryption can seem like the enemy of convenience. In the rush to get the job done, it can be easy to overlook encryption. Colleagues will fire emails off to each other containing attachments with unencrypted data. They’ll transfer unencrypted information to USB for easy access elsewhere. But these are amateur security mistakes. Any information you don’t want to be accessed by unauthorized eyes should be encrypted when at rest or in transition. You’ve heard stories of government laptops left in public locations. Imagine the damage caused when these devices hold unencrypted data. Your duty of care to your patients is no less important. Data moving outside of a secure network should be encrypted. The penalty for not properly encrypting data will far outweigh the convenience of leaving it unencrypted. Lawsuits and permanent damage to your reputation as a healthcare provider may leave you unable to recover. You’ll also need to turn your attention to ‘the cloud’. With increased use of cloud-shared information, it’s imperative that you strictly control unencrypted data and access permissions to ensure maximum security. Outside of a major hacking incident, laxity by staff is by far the biggest threat to healthcare data solutions. Sadly, it’s the most difficult issue to tackle. Staff awareness represents a ‘soft’ problem, one that can’t be fixed by a patch or hardware update. Even training can only go so far. The only solution for this is to create the correct culture. Training should be frequent, refreshed often, and backed up by policies. Guidelines to follow in the event of a breach or suspected breach should be clear and easily accessible. Staff should have priority channels they can follow to report perceived issues. Physical data security – Does data need to be printed? Is there a ‘clear desk’ policy to ensure data isn’t left in the open? Assuming no malicious intent, a staff data breach will come from either ignorance or neglect of the above points. In the case of more malicious data breaches, the only preparation you can make is to limit access to data as much as is feasible. Data should be on a strict need-to-know access. The more people who have access to data, the more likely the breach. 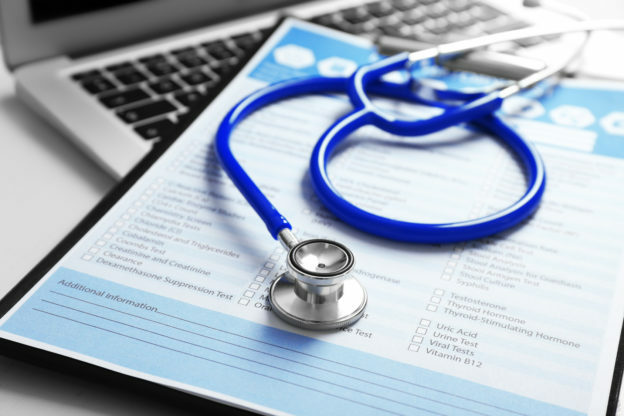 Healthcare data solutions are expected to meet a number of compliance guidelines, such as those issued by HIPAA. At a bare minimum, your security solutions should be meeting or exceeding these compliance guidelines. The cost of failing to meet these guidelines is high. But they should only be a starting point for your security measures. HIPAA violations can cost your organization thousands of dollars. Simply failing to meet the compliance guidelines can lead to financial penalties. These penalties become much steeper in the event of a data security breach. HIPAA requires a privacy officer and a security officer to monitor compliance, so ensure these roles are filled within your organization. Depending on the size of your company, the two roles can be filled by one person. It’s the responsibility of these persons to maintain compliance in the form of updating processes and policies. If the worst should happen, you’ll need a plan. Your plan should be something which you can implement with near-immediate effect in the event of an incident. Your plan will be clear and step-by-step with well-defined roles. The last thing you want in a data breach situation is more confusion. Be aware that you’ll also likely be facing criticism from your customers and the media in the wake of a data breach, so forming a public response should also be a key cornerstone in your plan. Your customers will want to know how their data was compromised and what steps you’ll take to avoid it in the future. These points should give you a start in keeping the data of your patients secure, but the fight for data security is always evolving. Follow our blog for more tips and tricks, or contact us to find out how we can help you further.